TaxiNet can accommodate all your transportation service needs. Whether you are in a hurry to get to the airport, touring the city on a leisurely excursion or going to a party, we will surpass your expectations with proven reliability. Reserve online or call us if you wish to get in touch with us regarding a specific service or inform to our low fixed rates. Enjoy a comfortable ride to any destination in one of our comfortable and luxurious vehicles or mini vans. A professional driver will pick you up in one of our cabs, allowing you to forget the hassles of traffic and parking while travelling to your destination. Our rates are always affordable and our drivers are always polite and professional. We understand the importance of getting you to your destination safely and at the appointed time, which is why we pride ourselves on being on time. 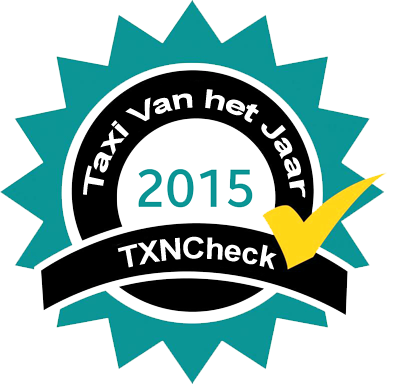 At TaxiNet, our taxi services are delivered 24/7 with customer satisfaction in mind. If you need someone to quickly take you from meeting to meeting, or to browse shops around a town, our Business Cab Service may be exactly what you’re looking for. It’s affordable personalized service at its best. Available in the finest luxury vehicles, our service provides truly personalized transportation for those in need of a driver on-hand between locations. With our luxury car drivers for hire, you may direct your driver to any destination in Europe and have them wait for you. You need not be concerned about the waiting time. Our Business Cab Services are available 24/7. With well-equipped, luxurious sedans for hire, we can take you wherever you need to go at your convenience. We can also transport personnel, guests or clients of your company. Our prices and service rates are both competitive and affordable. TaxiNet Airport Service is available for pick up and drop off at all airports in Europe 24/7 availability. Whether you need taxi or luxury car service to or from any airport, we can get there quickly and safely. We have a diverse fleet for all luggage capacities. You can book an advanced reservation online or call our 24-hour reservation department. You can also call for an immediate pickup upon arrival at any airport (car arrival to pick you up based upon availability). With our professional drivers and our exclusive Limousine Service, we will ensure that you arrive at your party or any other occasion comfortably and stress-free. You may also utilize our Limousine Service vehicle that include a luxury sedan Mercedes Benz S-Class to accommodate any last-minute arrangements. Experience an out-of-town event or a visit to a family member beyond the city limits with our Long Distance Service (one way distance of at least 50 km). Our driver will drive you to and from your destination so you can sit back, relax and enjoy the ride. You don’t have to worry about not being able to find a ride back home. If you wish to have your driver wait for you to bring you back, we’ll charge you a reduced price for the return trip. The next time you’re planning to go on a Long Distance Ride, call TaxiNet! If you’re looking for a way to get your car at home because you cannot drive yourself, our 2nd Driver Service can drop you off at your destination and make sure your car is driven there. We will provide you with a half-price discount for the service of the 2nd Driver. When you are with more people we can provide mini and full-size vans to make your ride as comfortable as possible. Enjoy a comfortable ride to any destination in one of our comfortable and luxurious mini vans. A professional driver will pick you up, allowing you to forget the hassles of traffic and parking while travelling to your destination. We drive children, to day-cares and after-school centers, community centers, public libraries, etc. Our advantages to our taxi service are that our drivers forge relationships with the kids we drive on a routine basis, and we get the satisfaction of knowing we’re helping our clients’ lives run more smoothly.